My two only have a few short weeks left till they head off back to school. Its Violets first year starting at big school.. she is rather excited although I'm definitely a little sad to lose my home buddy for sure. 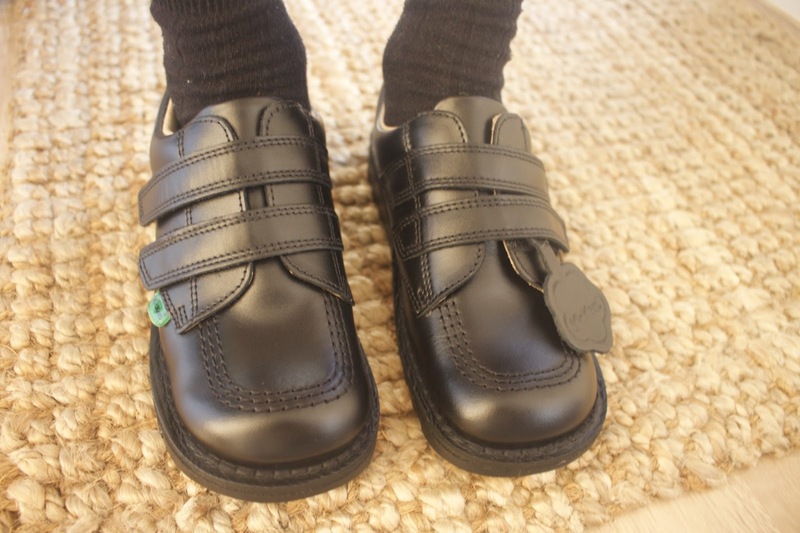 When it comes to choosing the right shoes for your children for school its important to get the right fit and comfort since they will be spending an awful lot of time wearing them. Violet was actually only saying the other day about buying some new slippers for school, and of course i had to correct her since she's so used to wearing slippers at nursery and feeling the comfort when being there i had to tell her the disappointment of having to wearing shoes all day at school. Having said that it isn't all that bad if you've brought the correct comfortable shoes for the children to wear. 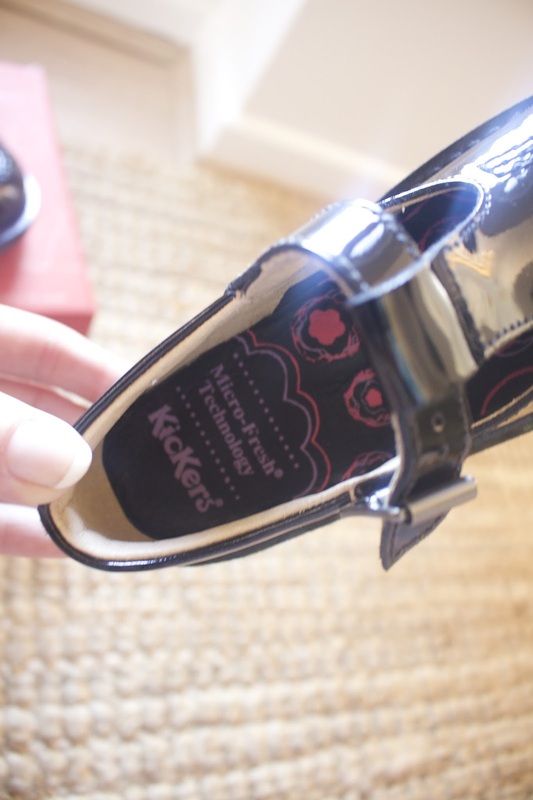 Although the children haven't exactly ' worn' the shoes in yet we received some gorgeous Kickers to review. My first impression was.. WOW don't they look comfy and padded. 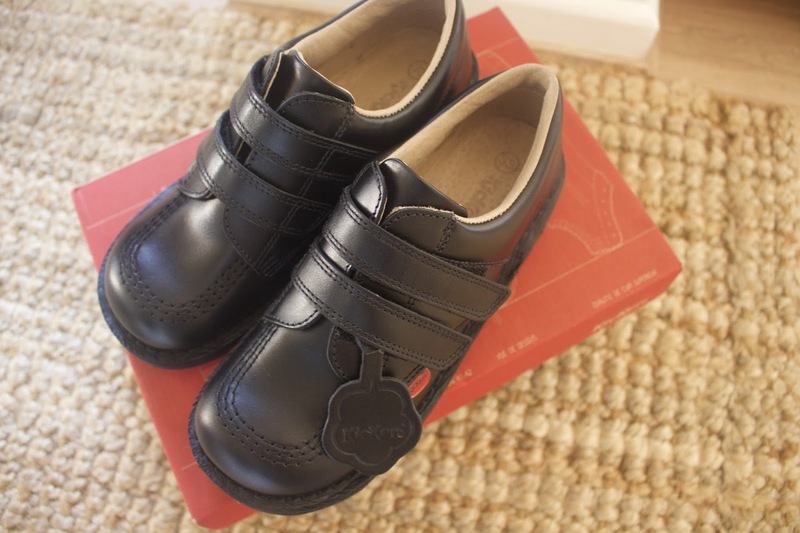 I chose Alister the Classic Kick low strap shoes, velcro is the way forward for him nice and easy for PE and swimming whipping them on and off and i loved the grip style sole also much needed for when running around a playground. The quality of the black leather is super soft and padded especially round the heel for extra comfort. Alister has wide and a slight instep and these fit like a glove. He can tighten or loosen the velco along the top of the foot. He seems really happy with them. 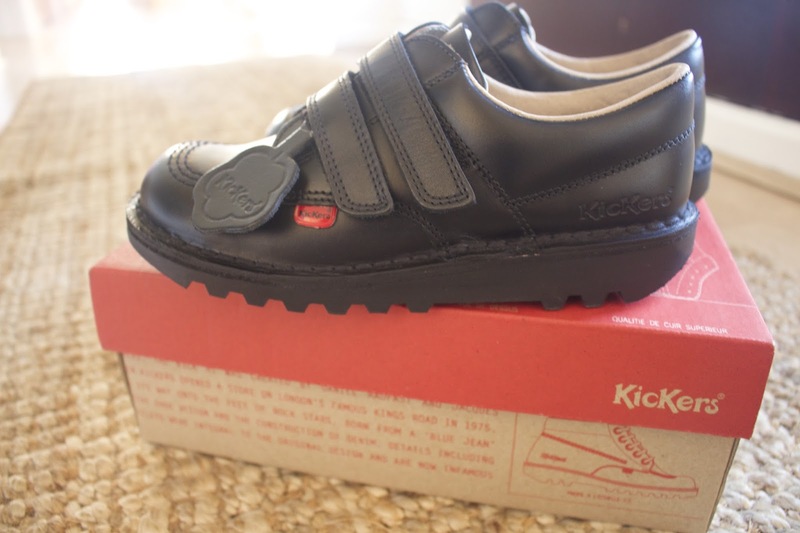 For Violet starting school i was considering buying velcro however she insisted on the Classic Kick Tbar Patent. These are absolutely gorgeous and i remember having patent shoes as a child myself. Theres something so girly and classic looking about little girls in patent shoes. They are a buckle but she is more than capable of buckle shoes. Again these seem really comfortable and i love padding on the inner of the shoe as well as around the heel. 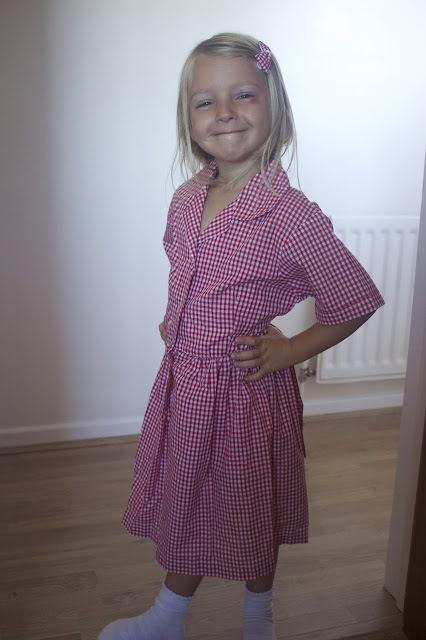 As you can see Violet is raring to get into school constantly trying on her uniform! Will give you a little update on how they get on with their new school shoes when they start in a couple of weeks! 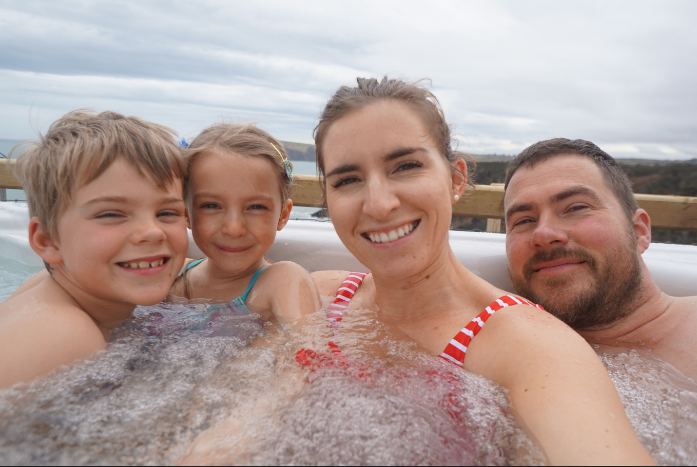 © The Witt Family. All rights reserved.